My object is a shadow box with a glass front. Butterflies and Bumblebees and a secret santa gift that I received from her this year. for some time and asked if I could make her one for Mother’s Day. I could capture the colour better. I think it captures a scene from the past quite nicely. This is just a closer pic to show the detail of the framing of the stamp. It is layered onto a piece of torn and inked vellum. ~ Craft-room Challenge – Make your own background paper! Beautiful! Thanks for joining us at Simply Create Too! Me thinks you had one very happy Mumma on Mother's Day Dot. Fabulous job altering the shadow box and the image in the middle is soooo pretty. Dot, this is stunning!! Bet your mum loved it, – I love the combination of that deep red with the soft green, totally gorgeous make! Such a lovely alteration and so perfect for Mother's Day! Beautiful colors and I love the oval framing around the silhouette image. Priceless! Hugs! Wow its really gorgeous. Thanks for joining us at Polka Doodles. 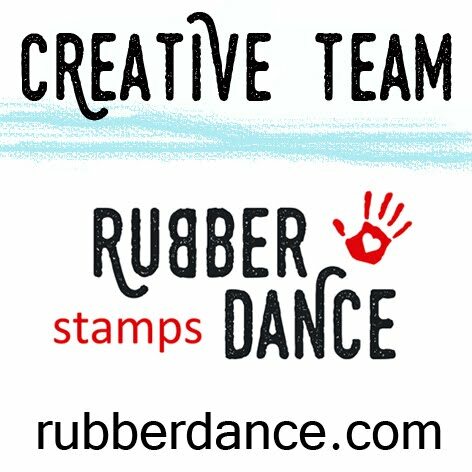 Thanks for joining us at Stamping Sensations too. loving your gorgeous shadow box Dot. So gorgeous, your mum will love this. 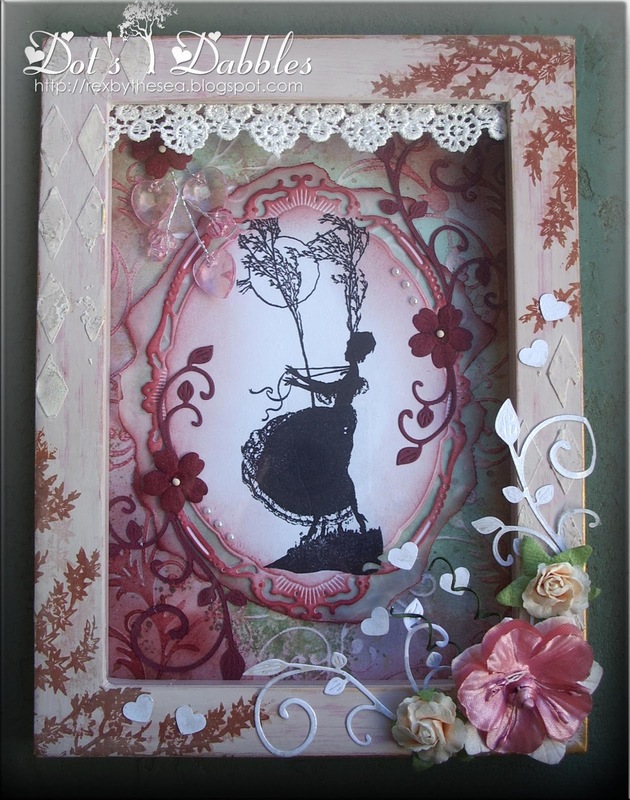 What an enchanting shadow box – that silhouette is so pretty! Thanks so much for playing along at Our Creative Corner! Hi Dot! Wow! Your Mom must be quite happy. This is just stunning! Love everything, the design, colors, image. This is a gorgeous altered box. Love the colour and detail on the frame with that stunning image. Your Mum will love this. 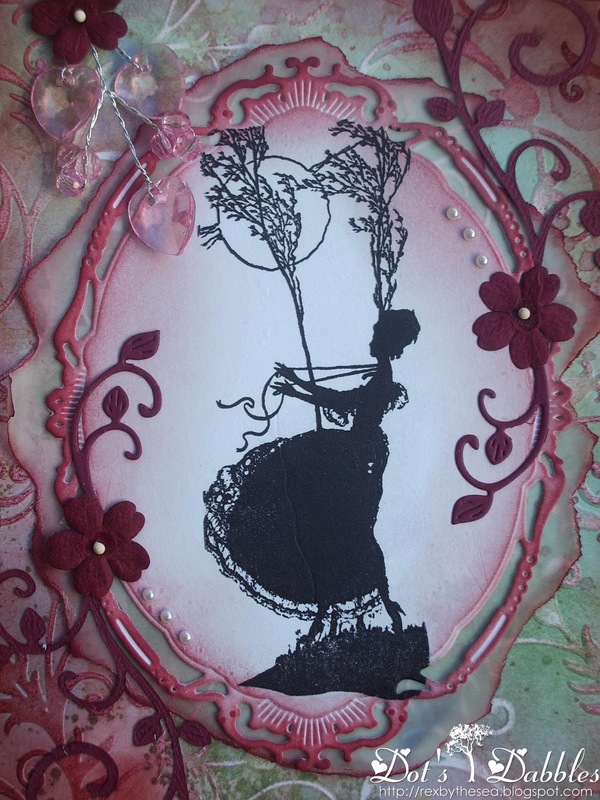 Wow Dot what a beautifully altered shadow frame and I bet your mum loves such a pretty piece for her wall. I love the colours and layers you have used, the harlequin texture is fabulous and the lace a perfect feminine touch. Wow, it's a breathtaking shadow box. Very romantic look. A stunning shadow box Dot! I really love the colours you've used too – that deep red is so rich and glorious against the other colours. The silhouette images are a perfect match for all your other layers. I bet your Mum was pleased as punch! Thanks so much for joining us this time at Our Creative Corner. Oh wow, I do love this Dot. 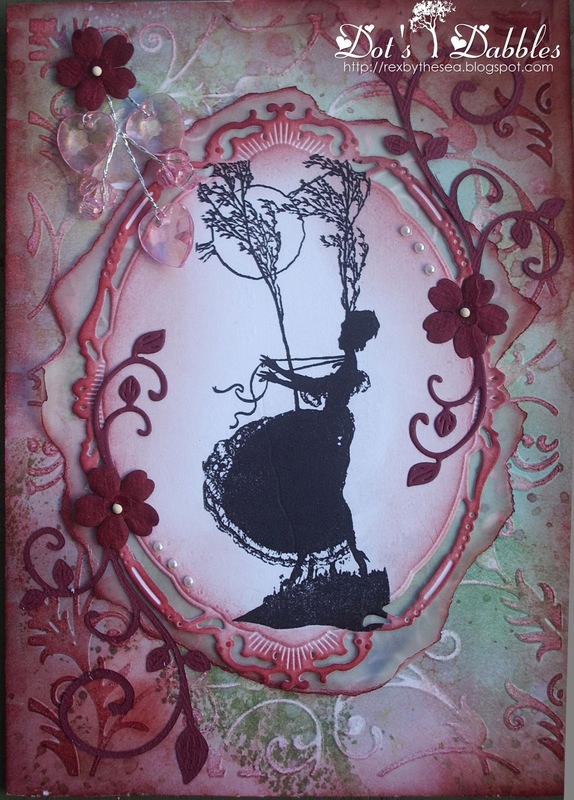 It is so pretty and feminine, and the silhouette stamp is gorgeous, as is your background. I want one, lol. Thanks for joining in with our "Stamp Your Own Background" challenge at the Craft-Room. As you can tell Dot I am well behind with my commenting, so pleased I got here to look at this beautiful piece of artwork. Oh wow! What a fabulous creation! I love everything about it! Thanks for joining us at stamping sensations for our embossing and texture theme this month and good luck!